IT’S been three years since his last victory but David J Russell is hoping some local knowledge can help him return to the winner’s circle in the Prostate Cancer UK Scottish Senior Open this weekend. After being staged at Fairmont St Andrews for the last six years, the event has moved to a new home at Archerfield Links, where it is being played on one of the two courses designed at the East Lothian venue by Russell. “It is probably the most exciting golfing week I’ve ever had, both in terms of playing in the event myself and also being the course designer,” said the man known in the game as “DJ”. “I’m looking forward to it as it is a real privilege to have a tournament like the Scottish Senior Open played on a golf course that you’ve designed. I’m sure I’ll find all the trouble I’ve put in there. The 54-hole event, which starts tomorrow, features two former Ryder Cup captains, Sam Torrance and Mark James, as well as Des Smith, who, like the Scot, was one of Paul McGinley’s assistants at Gleneagles last year. 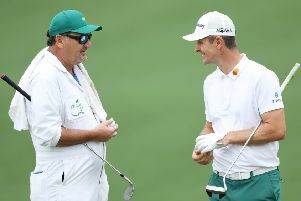 The 60-strong field also includes Paul Broadhurst, a former Ryder Cup player who is making his over-50s debut. “I’ve not been playing well at all,” said Russell of his own aspirations in the £250,000 event. “I’ve been busy with my golf course design projects, including the one over on Islay. Because the tournaments have been so infrequent, I haven’t been properly prepared for them.